Having to escape from the flat all day as the hall floor is being restored today was a good excuse to head out of town. I followed the exodus of students from Marchmont, across the meadows and towards the university but left them as I was heading towards the station. It was a lovely sunny, still morning without the cold wind of the last few days. On the station platform I was sitting next to a lady with a West Highland White Terrier. The dog looked hopefully at me but I had to explain that as my dog was not with me today, I didn’t have any dog treats in my pockets. On the train I was back with the students as far as Musselburgh where they all got off for Queen Margaret University. 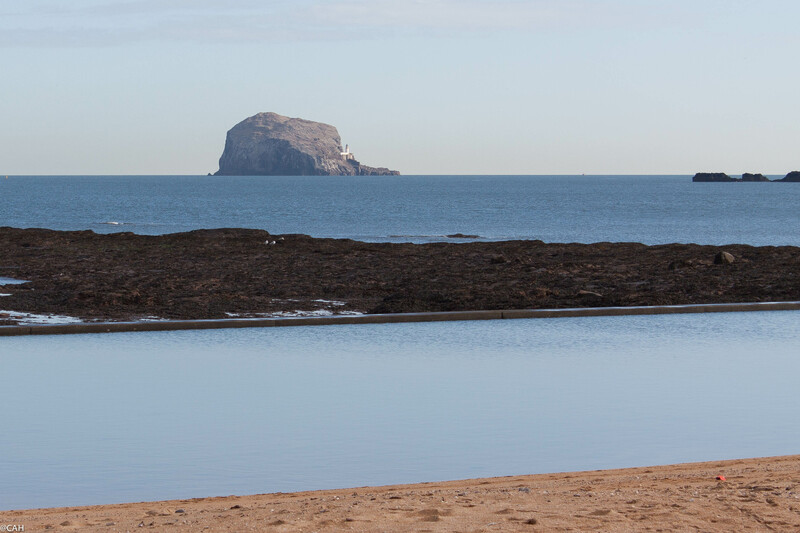 It was then quiet until we reached North Berwick. The tide was out so beachcombing on the East and West Strand was essential and I added a few pieces to my sea glass collection plus a fragment of shell which has provided inspiration for an abstract painting. On the West Strand a group of children were litter picking. I had not been to the Scottish Seabird Centre for several years so I enjoyed wandering around there, looking at the submissions for a photography competition they were running and really getting to grips with my new telephoto lens. It is a little too early for the gannets and puffins to have returned to the Bass Rock but the staff said that there were some gannets on the north side, not visible from the centre. 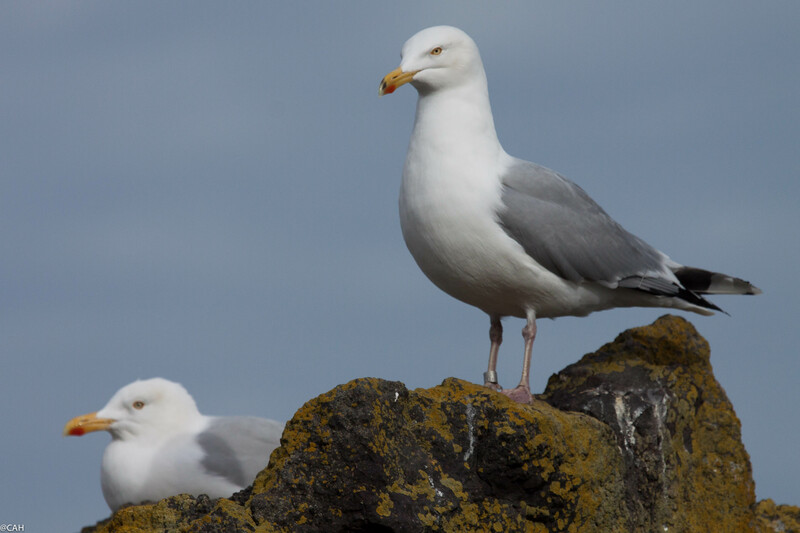 However, this pair of gulls was very obliging and posed for a shot. 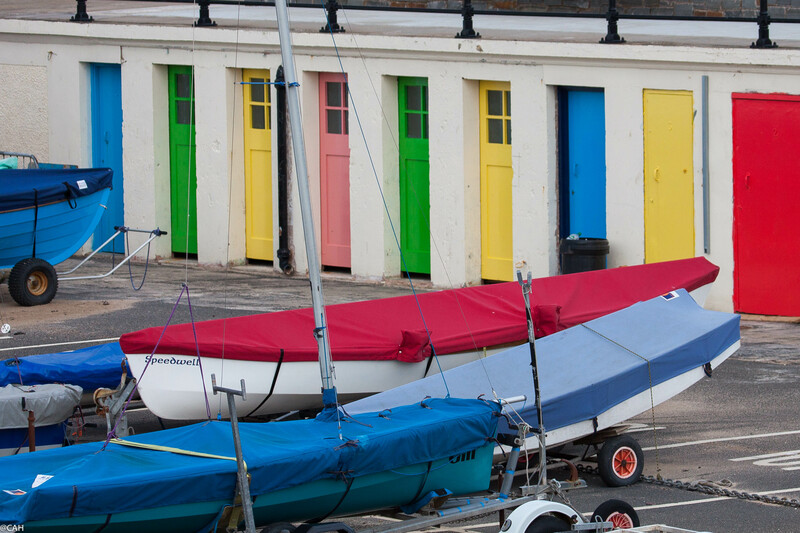 The harbour was quiet as expected in winter but had some very brightly coloured doors. The second-hand bookshop was finally open and I found a volume to add to my New Naturalist collection and in another shop, a birthday present for a friend. Knowing that I could not get back into the flat until 7 or 8pm meant that a bag of chips from the North Berwick Fry was needed to keep me going. I would have walked up the Law if the weather had stayed as it was in the morning as the view would be tremendous and it would be good training for hiking up Mount Etna and Stromboli in September. However, the weather was deteriorating so I headed back to town. A slow and circuitous route back to the flat finding some more National Geographics in a charity shop to plug the gaps in my collection plus some time in a library researching our Lincoln Highway route for next year meant the floor was dry when I returned. Even without the Law, the pedometer on my phone says I have waked 23,112 steps and 18.4km today.